Bernard Grua réside à Nantes, France. Il est le fondateur et le dirigeant de la société Best Inventory experte dans l'audit, l'organisation, la réalisation et le conseil en inventaire. Il a été, préalablement, manager d'audit financier, à Paris, au sein du cabinet Arthur Andersen où il était spécialisé dans les normes anglo-saxonnes. Il intervient régulièrement dans différents pays d'Europe, aux USA et en Afrique. Par ailleurs il exerce différents activités bénévoles dans le domaine humanitaire, culturel ou civil. 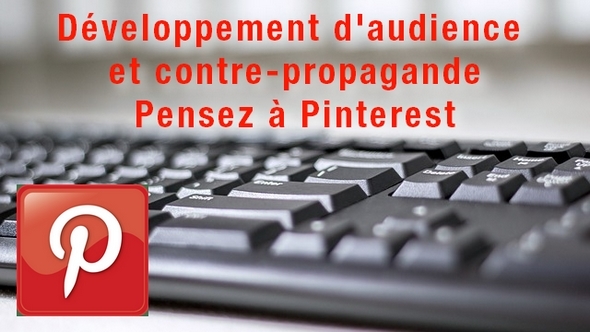 A ce titre, il a développé une pratique peu habituelle, en ce qui concerne des profils tels que le sien, dans la mobilisation par les réseaux sociaux, les relations avec la presse écrite et audiovisuelle française ou étrangère et dans l'organisation de mouvements internationaux. 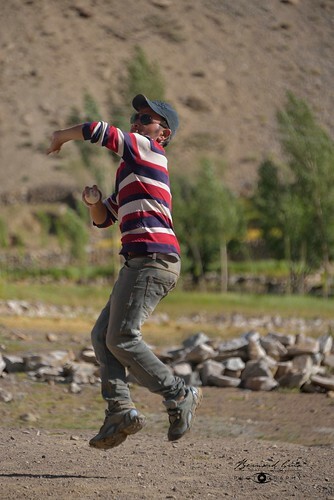 At the top of Upper Hunza in an area called Gojal, Zood Khun stretches in Chapursan Valley. 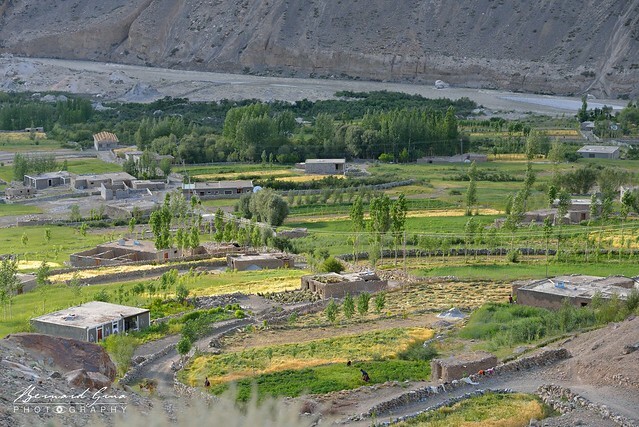 It is a village having numerous characteristics in common with other Wakhi settlements of Pakistan, Afghanistan, Tajikistan and, may be, China (though, not directly observed in this last country). However, its isolation at the very end of a narrow rough road, coming from Sost, and its altitude of 3,300 m, make it, sometimes, different in term of tradition resilience, scenery, available resources and way of life. The following description will try to show this specificity as to project it into a more general background. May some readers decide to visit this interesting place, to discover its peaceful beauty, and to enjoy the cordial hospitality of its friendly inhabitants. This image, dated August 5, 2018, is taken from the highest inhabited point of Zood Khun (also spelled Zuwud Khoon), the ultimate settlement of the Chapursan (also spelled Chipurson or Chipursan) Valley between the giant Karakoram, Hindu Kush and Pamir ranges. This is the middle part of the diyor (village, hamlet). It is 05:30, PM. Light comes from the west (left, here). 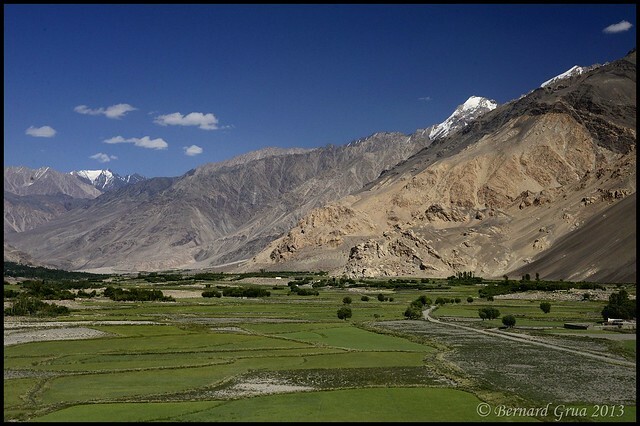 It passes over the mountains materializing the western border with the end of the Afghanistan's Wakhan corridor (same Wakhi population, same Ismaili religion and same language of a Persian branch) accessible, after Baba Ghundi shrine, via the Irshad Pass (4,979 m) which terminates the valley. At first glance, the external viewer has the confused impression something, he is used to, is missing. The problem for him is to find what. Eventually he realizes, there are absolutely no commercial posters, no advertisings, no signs. The eye can enjoy the scenery and have a walk without being hurt. Nothing breaks the pleasant contemplation. This is the period of the year for harvesting and haying. From the top of a trail that winds down, dry-stone walls enclose the plots while delimiting paths and a road. They provide relatively flat terraces, preventing erosion and protecting crops or grasslands from livestock (with the possible exception of agile yaks and goats). Conveniently, they also serve to dry laundry as indicated by white and colored patches (bottom right). Three women work in what may be a square of potatoes. Another one (bottom left) climbs the path carrying hay on her back. Behind her, a calf is tied to a stake and grazes grass on the path shoulder. Opposite, on a desiccated ground, stays a pile of sand for probable construction work, which would be performed by the man noticeable at a house corner. Farther downhill, there is a mowed plot. Sheaves of wheat or barley are arranged on the small yard of a house. Some are also put, with hay, on the roof. Then, going behind this building, the itinerary heads towards the new government school which is being completed (with a wood frame for roof), where the valley road is reached. Before getting there, on the left, an uncultivated space surrounds the corner of a house under construction. 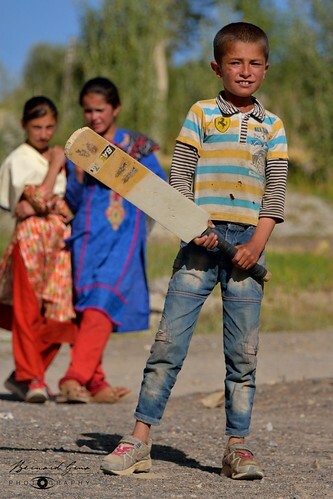 It serves, in particular, as a playground for young people, mainly for cricket. Here, the farmable ground and the grass are too precious to be trampled. The polo field (also used for buzkashi) is not visible, being farther away. In the distance, behind the jangal (wooded wasteland growing on floodplain alluvium) and before the river and perpendicular to it, stays an arid parcel surrounded by a low wall. It's, may be, an enclosure intended to gather cattle and horses.. 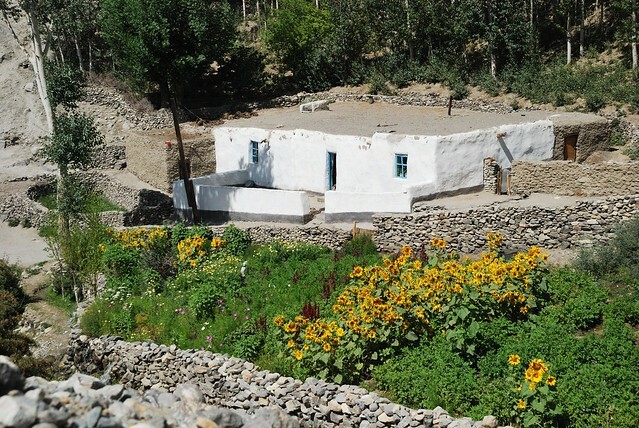 Houses are scattered throughout the oasis to be closer to the plots where, in addition to barley and wheat, potatoes, lentils and some vegetables are grown. Since each crop is irrigated by canals bringing water from the melting glaciers, it was not necessary to gather around a spring or a well. As a consequence agriculture and housing are closely intertwined. 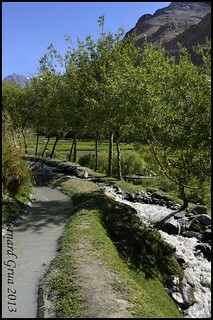 In Chapursan Valley, as in Upper Hunza Valley, there do not seem to be any cultures outside the hamlets. 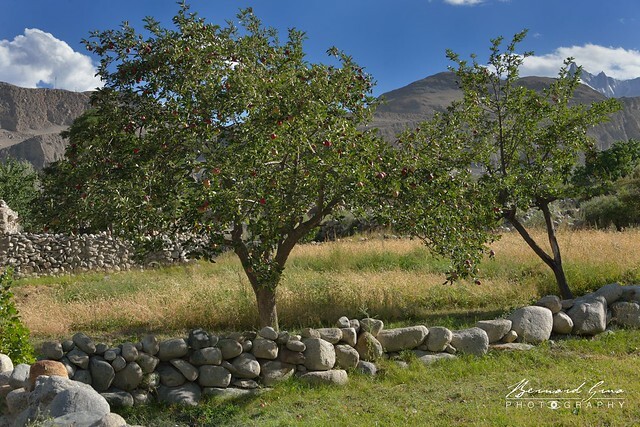 The diyor is too high for apple and apricot trees like the ones growing in the first hamlets of Chapursan Valley, located below 3,000 m, or in the villages bordering the Hunza River. 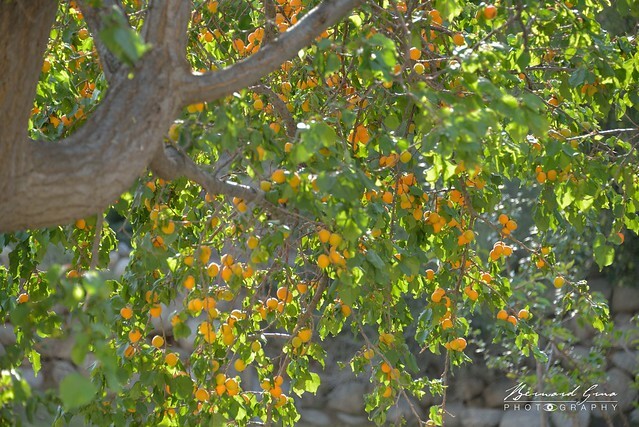 The only fruit available locally is from wild sea buckthorn, a very thorny bush, common in Hunza Valley. Its small round berries, having an orange color, are considered rich in healing properties and contain more C vitamin than citrus fruits. Zood Khun children are fond of it. In addition, they find, there, a dietary supplement beneficial to their health. For these reasons wild sea buckthorn berries are sometimes harvested to be sold, in small bottles, as a local energizing juice. It seems that no chemical fertilizers and no phytosanitary inputs are used in Zood Khun. Then, added to the harsh climate, yields might be below generally admitted figures. However, it results in high quality natural products that would normally be demanded in modern organic retail businesses. No doubts than the seeds used, here, are also of great interest. 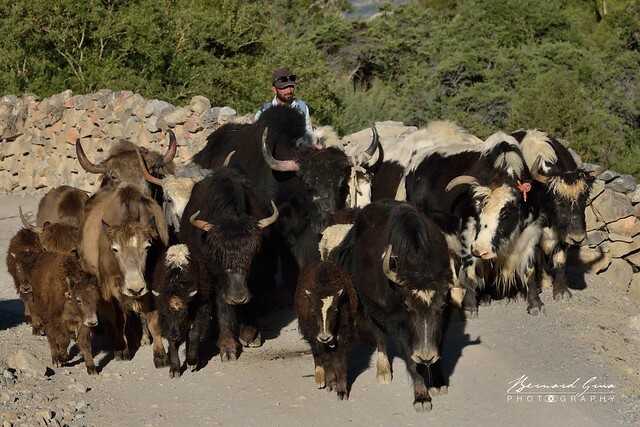 Adapted to the high altitude conditions and to the lack of industrial additives they might belong to an heritage of old species which disappeared from numerous other places including Tajik Wakhan. This could deserve a specific protection. Zood Khun seeds might even be looked for when agriculture specialists will search for species able to grow on a more natural way. Chapursan Valley could find benefits in establishing its own label with products of certified origin and organic conditions of production. Doing so, Zood Khun will avoid the industrial step followed over the last 50 years by the agriculture of western countries and from which they try to go back. Their industrial way of production proved to be capital consuming, unhealthy for consumers, poisoning for farmers, destructing for the environment and devastating for biodiversity. Nowadays, the major cash cropping is potato presenting a low number of issues for transportation and storage. The question can be: are these products priced at their real quality value? Has the customer the understanding he is buying an actual up scale potato? 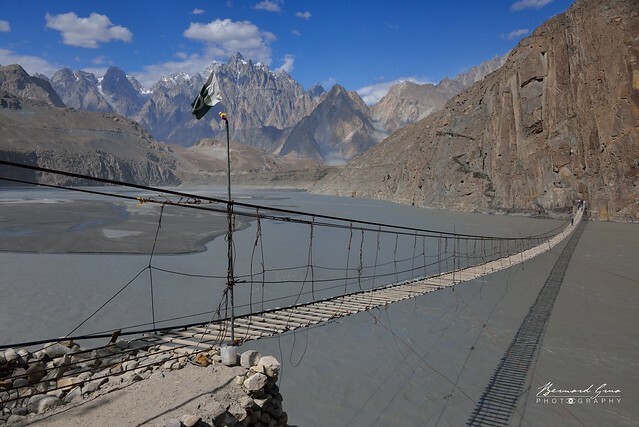 It should also be reminded that, in 2010 and following years, Attabad landslide and its resulting lake, which cut the Karakoram Highway (KKH) until the five tunnels completion, affected the fragile balance of home budgets while obstructing their normal flow of selling and, as a consequence, their possibility to pay for external needs. Jangal limits erosion. It is also an important component for the ecological balance, a place for raw materials and fuel, a source of nutrients and a housing for wildlife. This is the case for Chapursan Valley but also for other similar locations. 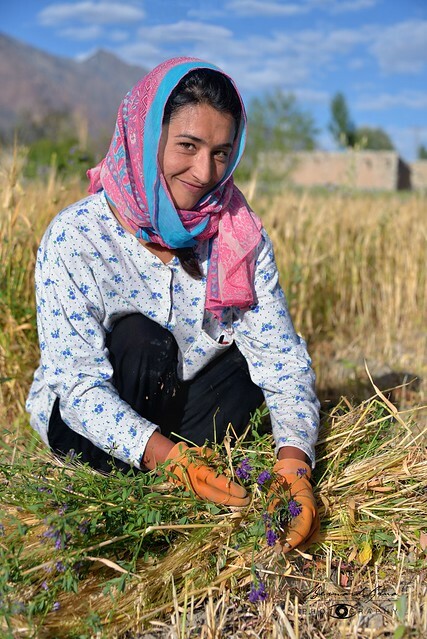 Tajik Wakhan, for example, launched successful large reforestation projects along the Panj River to restore its over-exploited jangal and forest. In Zood Khun, the ground is too dry to allow natural growth of trees. With the exception of the jangal shrubs, the almost only available wood largely comes from poplars and, in a smaller amount, from willows, planted and irrigated at the edge of plots. 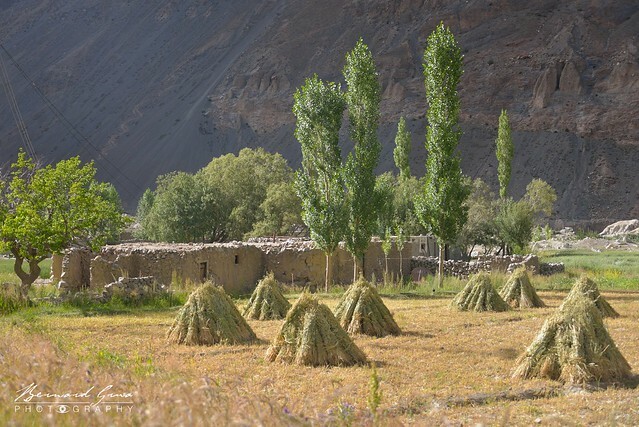 Poplars are in the oases of Central Asian mountains, what are palm trees in desert oases. They are, just like food crops, protected from cattle by a close attention. This is one of the reasons why, between planting and harvesting time, animals stay in remote pastures. In summer, just a small number of them graze, in the village, for domestic purposes. According to Alam Jan Dario an explanation for the Zood Khun development is its available space and its unusual proximity, in comparison with Passu (from where came his family), with the large pasture of Yishyok (also spelled Yeshkuk ) where the herds of the Mir (king) of Hunza were pasture and providing dung for fertilizing new production plots on reclaimed land. 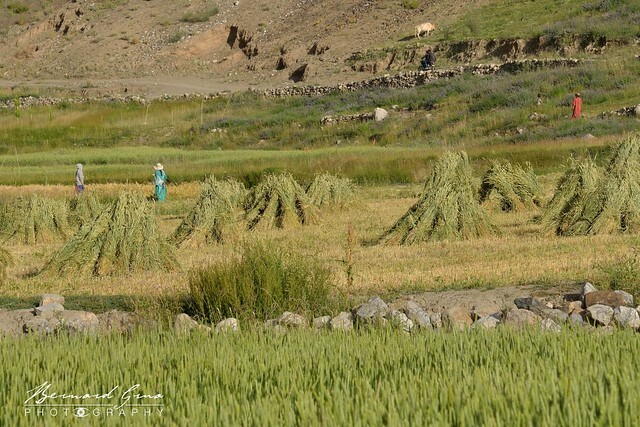 As pointed out by Jansher Khan Tajik Wakhani, four years ago, in the north west of the diyor, the community created Trapur dasht (oasis next to the river) for wood production. Between 1,000 and 1,500 trees have been planted. Water is brought from a spring via a canal built thanks to a donation made by late Safaraz Khan. Then, the area is known under the name of his father, Hagi Abad. This wood is commonly used for fuel. The plantation is open just six times a month. A same man can take wood during the first three days of the month and then the three days at the middle of the month. Gray sand, washed down from scree slopes, is collected in the river. It deposits into coves fitted to preserve calm areas. The powerful and fast stream deeply trims an erratic bed through a mass of glacial alluvium and moraines. The river banks are steep but unstable. They can be quickly damaged and collapsed by floods. Fields and buildings stay at a safe distance. In that sense, Zood Khun people and properties might be less exposed to disasters than Passu's ones could be. 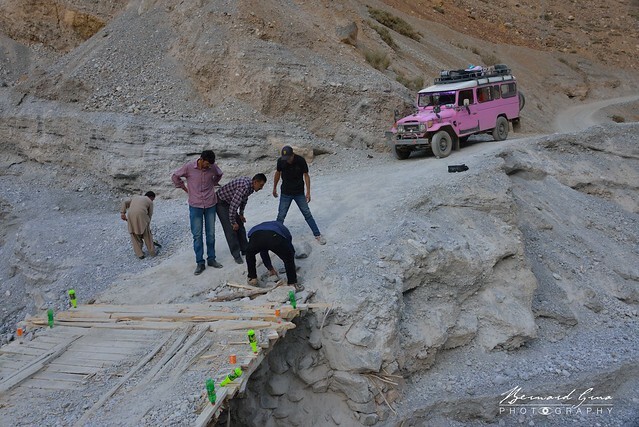 Though, Chapursan precarious rough road can be cut due to landslides or broken bridges leading to a complete isolation. The dwelling scattering causes, today, a skein of power lines serving each home. Jansher Khan Tajik Wakhani mentions the community hydro power plant built next to jangal. Its capacity is 400 GH and is intended to serve the last three villages of Chapursan Valley. It can only be used during normal weather. When it is too cold the water canal is frozen and no electricity production is possible. As of today, it does not work because Misgar recent regional (Gojal) power plant was supposed to be enough. However Misgar faces misconception and mis-realization issues. It also has a too small capacity to answer the demand. Then, power distribution is random while being subject to frequent load shedding when not longer blackouts for repairs. Each house is now pipe-supplied with drinkable running water. This one comes from a deep drilling. Peaceful, Zood Khun is also amazingly quiet. Added to the fact that most of cattle is in remote pastures, there are almost no domestic animals in Zood Khun during summer time. Except for the noise of some un-frequent motorcycles and even the one of human steps on the “main road”, ending there, the sound is coming from virgin nature. In the background, there is the permanent smooth roar of the mighty river sometimes with the accompaniment of bird songs and of a gentle wind going through poplar branches. The extremely low level of Zood Khun anthropic noise deserves to be considered as a precious resource missing in most of the world inhabited areas. Also unspoiled is the dry healthy crystal clear air resulting in incredible summer skies at night and offering a respiratory welcomed break for those living in large polluted towns. During the middle of the day, for a couple of hours, sun can be too strong but it cools down quite fast. It is a far more enjoyable climate than the unbearable humid extreme heat of some Pakistan southern cities. This is a potential strong attraction factor for domestic tourists. 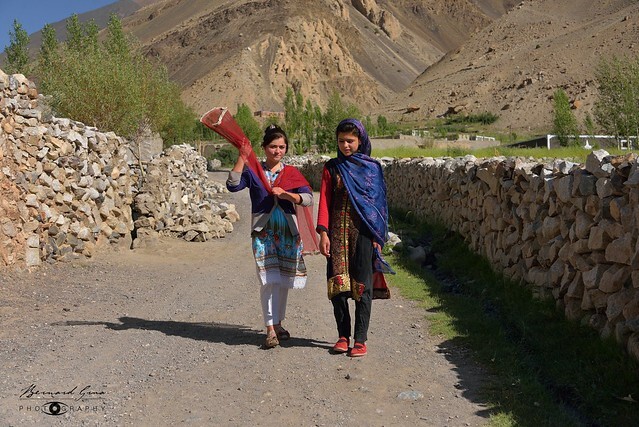 Even though it experiences a, sometimes temporary, exodus to the big cities of southern Pakistan (surprisingly a large part of Hunza Wakhi people can be found as south as Karachi), the village is still well alive. In 2018, numerous houses are being built or being enlarged. 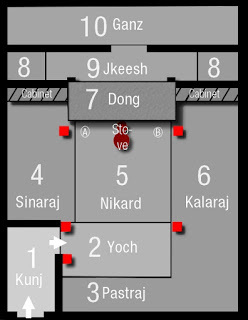 It is possible to observe a Pamiri layout dating back from Atash-Parast (Fire worshippers, Zoroastrians). This permanence could be due to religions (including old ones) but also due to a perfect adequation with environment constraints and ressources available. Khana, (Khane, house), in Zood Khun, just has a ground floor. It is a single storey building, unlike, for example, the ones of the old walled city of Ganish, where horizontal expansion was not possible. The building cover consists of a terrace used for drying and storing straw or fodder, subsequently providing more insulation. The future government school is one of the rare exceptions. It is wearing a roof frame. This school will partially double the Aga Khan Foundation one, located between the hamlets of Zoodkhun and Shitmerg (also spelled Shetmerg, Shetmarj or Shuthmarg). One may fear that its cover will be made of metal plates with a bright and brilliant color. This could trivialize the environment and break some of its visual consistency. 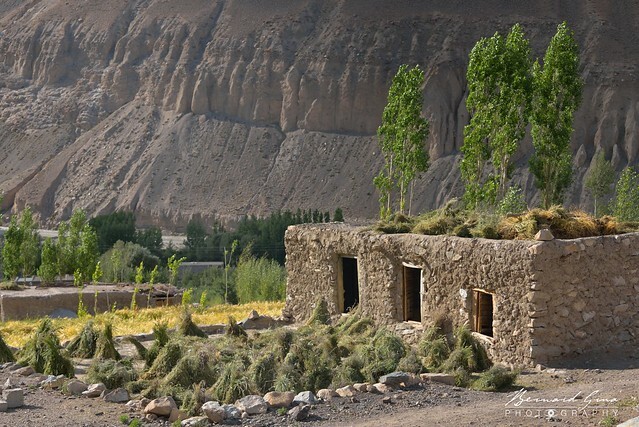 Around the khana core structure, extra buildings such as washroom, stable, sheds, verandah and summer rooms (with windows) can be added (see similar layout in Nazif Shahrani, “The Kirghiz and Wakhi of Afghanistan”, page 66). As a result they make another layer for protecting the central part from direct external cold and wind. The khana traditional design is a classical Pamiri one, although it can also be found in Karakoram and Hindu Kush. 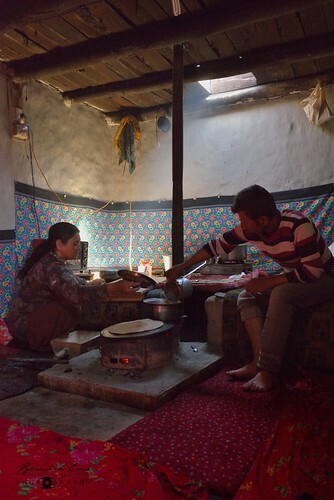 Like in Tajik and Afghan Pamir it is a warm (in winter) or moderate temperature (in summer) shelter with no lateral windows. The external door doesn't open directly into the main room. People have to go across a mazelike corridor, sometimes, closed by an additional door. On the roof is a skylight which can be shut thanks to glasses in framed panels. This is particularly energy efficient while the layer of the heat going to the top stops the cold air entrance in winter. In summer, when open, it is efficiently cooling the internal space. Like a submarine inside its different protecting hulls and ballasts, the airtight core structure is ready to dive into the wild winter. This main part of the khana reveals a complex organization. The space is divided into different platforms. Each of them has a specific function. Their following description is largely inspired by the article written by Hannibal Taubes, on his blog. 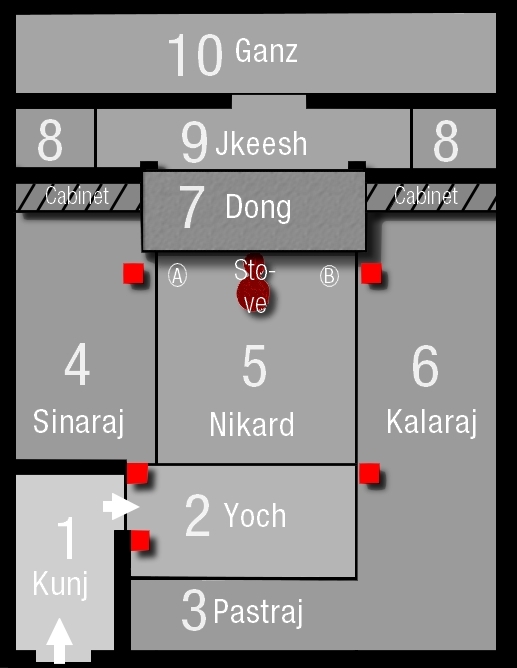 The layout of the main room, showed below, is a replica of his manual drawing based on his observations done in Shimshal. It could differ elsewhere. However, the articulation of the different platforms is relevant and brings more clarifications than it leads to confusion. This work was completed by information received from Jansher Khan Tajik Wakhani, Haider Badakhshoni and Dilawar Figar. While Wakhi language is not a written one, transliteration into Latin characters may be subject to interpretations. Pillars are showed in red. White numbers are platforms described below. 1. Kunj: (Kungh) Anteroom to keep the wind from blowing directly into the house also, now, used for shoes. The house entrance is Sorye (Suriye). 2. Yoch: (Yorc, Yorch). It is the space for wishing welcome or for dancing during marriages and festivals. In the past, it was also a place for work, for stocking fuel for immediate use and for taking off the shoes. Nazif Shahrani says in Afghan Wakhan it is used for new born or sick animals requiring cares at night, especially during winters. In Zood Khun, this last task was handled in Kalaraj (6) as explained below. 3. Pastraj: (Past Raz) Sleeping. Duvets and blankets are kept rolled up here during the day, and spread out at night. 4. Sinaraj: More sleeping space. 5. Nikard: Stove and eating space. The sitting area is a square place around the fire place. Males sit on the right side. Sitting arrangement is in specific order. The guest, elderly or religious leaders people get the priority to sit, the closest to the stove (B). These most respected people sit first then the young ones sit. Females sit on the left. Similar hierarchy rule is also followed on the female side of the sitting area (A). The most important places for sitting are called dildungban. 6. Kalaraj: (Kla Raz) Sleeping. In the past, it could be used for animals in winter. 7. Dong: (Dildong, Dildung) Cooking and sitting place for children. It is the highest platform (until 1 m high). It is originaly a furnace (tandoor) made with clay and stones, able to accumulate warmth and to return it at night even if fire is finished. Odinmamadi Mirzo (Wakhan, 2010, p. 78) says its name in Tajik Wakhan is degdon (wrong transliteration?). He adds: “finally dedgon from the perspective of the Zoroastrian religion performs the place for fire worshipping”. He also presents some traditions of ancestors regarding fire and fireplaces which are considered as mandatory to follow (Wakhan, 2010, p. 109). Today dong is less used as a furnace while being suplemented by a metal stove placed in front of it. 8. Warasar: Storage. Two half height walls or wooden cabinets separate the two Warasar (8) from Dong (7) and Sinaraj (4). 9. Jkeesh: (Cekish, Chukish) Cooking and storage. 10. Ganz: (Ghanz, Ghananz) Stockroom. In some houses, this room can be bigger, have a stove and a skylight. It is, then, the kitchen and the dining room. Here, the major source of information comes from Robert Middleton, 2002, "The Pamir house". The Pamiri house design is said to be more than 2,500 years old and based on Atash-Parast (Fire worshippers, Zoroastrians) principles. However, today, the five pillars are considered representing the five holy personalities of Ismailism, being Mohammed, Fatima (Mohammed’s daughter and Ali’s wife), Ali (adopted by Mohammed and succeeded Othman as Caliph of Islam), Hassan, and Hussain (Ali’s two sons). It has been suggested that in Zoroastrian symbolism the pillars may have corresponded to the major gods/goddesses ('Yazata' or 'Eyzads'): Surush, Mehr, Anahita, Zamyod and Ozar. The number five also reflects the five principles of Islam. In Hunza Valley, these pillars can be found in pre-Islamist constructions sometimes with Buddhist or Tibetan ornaments. The pillars and the beams are also said to be an anti-seismic structure which could survive cracking in walls or even the fall of some of them. The skylight is echoing the pillars. It is built of overlapping wood beams. With four wooden squares and the fifth square of light, the same Ismaili symbolism applies. It is also said these wooden squares are 'chorkhona' ('four houses') representing, respectively, the four Zoroastrian elements earth, water, air and fire, the latter being the highest, touched first by the sun's rays. More about the permanence of Zoroastrianism symbols on HeritageInstitute. No doubts that so many elements deeply rooted in religions helped to keep the layout of the structure for such an extremely long time. We have an incredible opportunity to see houses, where people still live, looking similar to the ones built millennia ago. 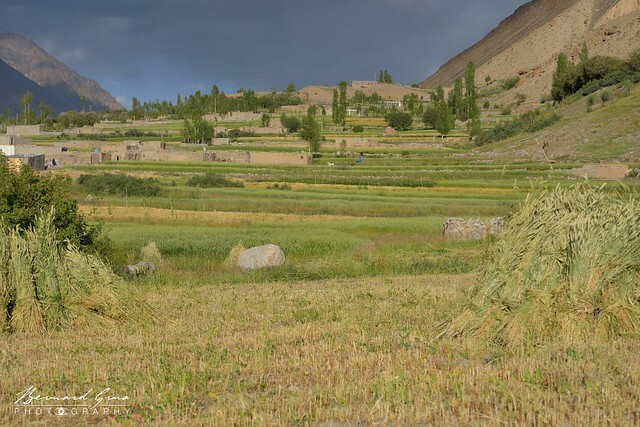 However, this is also a testimony about the early achievement, in Central Asia, of an optimum reached to address altitude and climate constraints with the limited available resources. The platform floor, where people sit and sleep, is usually made of wood or mud. It is covered with thick carpets. Note, it seems that the Tajik Wakhi way (probably influenced by Russian habits) of hanging heavy wool carpets on the walls is not a tradition from Gojal. The most which can be observed is a partial or complete wall cover with a thin fabric having colored patterns. Otherwise, walls are just painted. 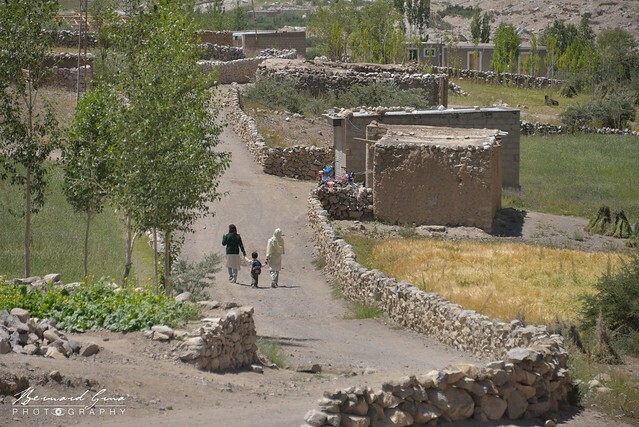 In numerous villages of Gojal, the main materials for field and house walls are, more or less round large pebbles, extracted from sediments and removed from reclaimed land for fields. In Zood Khun, it is different. The stones used for masonry present sharp angles, like they would have been broken out of bigger ones. There are, actually, large areas of rocky chaos exploited as quarries. The stone walls are dry mounted, without mortar. Except for enclosures and field terraces, the spaces between stones are filled in with mud which, when dried, provides the insulation required by the cold winters, at this altitude of 3,300 m. These local materials, perfectly in accordance with the land they come from, contribute to the authentic and charming vision offered by the diyor. 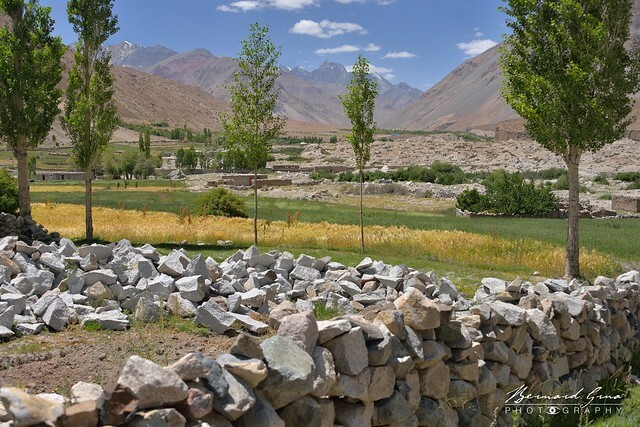 The amazing consistency of dry stone walls for field terraces as for all around plots and paths is absolutely stunning and should be preserved in a time where so many gorgeous points of views, including in Hunza Valley, are spoiled while bearing the scars of ugly exotic enclosures. 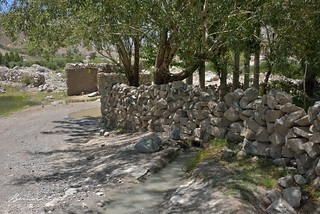 Skill in building dry stone walls without mortar is a Wakhi expertise. In Afghan Pamir for example, Kirghiz herders, ignore this technology. In their high settlements, when they want constructions in addition to their yurts, they hire Wakhi people (Matthieu & Mareile Paley – Pamir, p. 132). However, it should be mentioned that concrete blocks begin to appear for housing and for small shops closed with their inevitable iron curtains while topped with metal sheets. Then, these shops look like average suburban garages or “Naran-fashion” stalls (the social and visual damages spoiling Kaghan Valley will be addressed in Part 5). Fortunately, they are, at this time, still in a small quantity. Moreover, due to the limited number of external visitors, shop keeper don't need to show any disrupting commercial signs, while every inhabitant knows their specialties. Thanks to this contained invasion, Zood Khun “main street” (being also the end of the valley road) stays, till today, incomparably more poetic than the one of Sost. The preferred wood for pillars, especially for the prophete Mohamed's one, and for the roof-terrace beams is yarz (juniper) because it is strong. It has anti-insects and purifying properties. It is a sacred tree. Its scented smoke is supposed to facilitate access to the mystical world (Matthieu & Mareile Paley – Pamir, p. 41). It has the same shamanism level of recognition from Siberian native people. In Europe, juniper pebbles were supposed to repulse witches and bring luck. They were also put in wardrobes against moths. Modern cosmetics researches show that juniper essential oil has actual beneficial qualities. However, while this wild tree, which can be found until 3 800 m, is slow to grow and not abundant, weaker, less desirable and less lasting “cultivated” poplar can replace it. See Part 2, § A scarce wood resource. Houses with rigid concrete walls may lack the traditional anti-seismic property. They are also not so good for keeping heat in winter especially with limited fuel resources. Additionally, the cold concrete floor can cause joint pain when sitting or lying on platforms. These reasons might be the ones explaining why some families having modern houses in the “new Ganish” go back to their former home during the coldest period. This is a useful information for Zood Khun which is located 1000 m higher in the mountains and facing a harder climate. A cement veil on a timeless vision? Even on traditional walls, it seems trendy, nowadays, to coat the facades with a dark cover of cement. It is, somewhere, affecting the harmony of the landscape. It is, additionally, a trap preventing traditional walls of “breathing”, by blocking evaporation, facilitating condensation and leading to humidity accumulation. These monotonous gray walls are, sometimes, decorated with geometric patterns. It doesn't appear this ornamentation has a particular meaning. According to Mumtaz, a village children, "this is for style”. In the same way, the angles of the coated walls and the framing of the openings are underlined by strips traced in white paint. Part 5 - What place for Zood Khun into the global world? 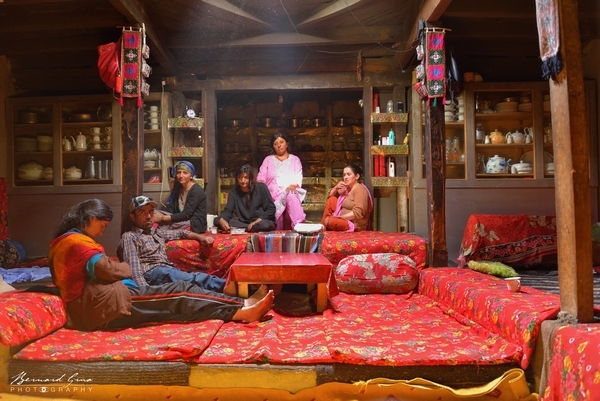 Travelers can be accommodated at "Pamir Serai", the Alam Jan Dario's family guesthouse. 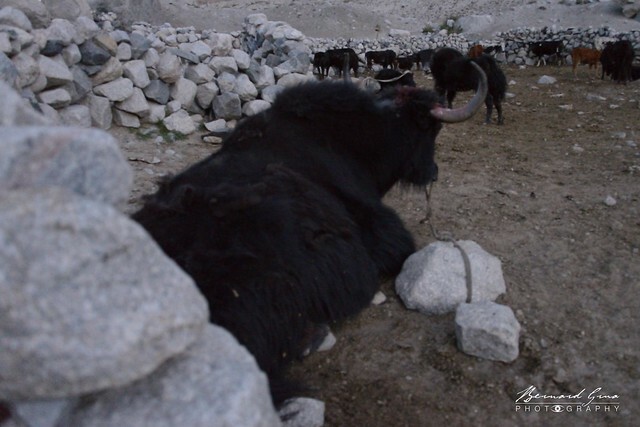 According to him, a few decades ago, materials for building Zood Khun-Shitmerg high school were brought on yaks. 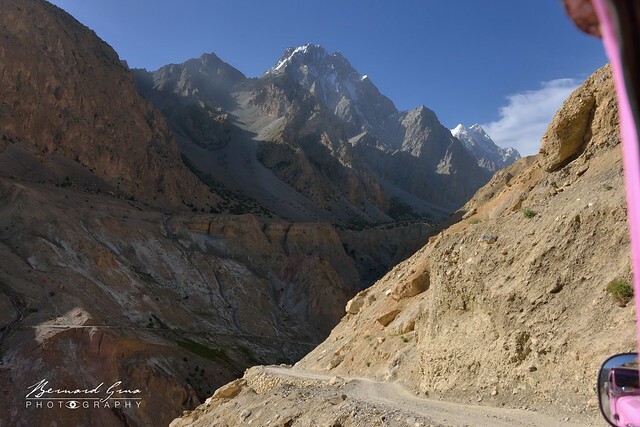 Now, still remote but daily linked, by a "cargo-jeep", to Sost on the Karakoram Highway, via a three-hours trip on a narrow and perilous road, Zood Khun is a peaceful and preserved place. The current Sost road is not accessible for trucks or urban vehicles, then goods or heavy materials traffic (mostly with tractors) is not that big. Numerous satellite antennas can be noted in the village. However, phone and internet connections are almost non-existent. Some parts of life remain based on a self-sufficiency basis. Practices are, nevertheless, slowly changing as presented above. Moreover, the vast majority of the population being perfectly fluent in English makes the diyor ready for international visitors. 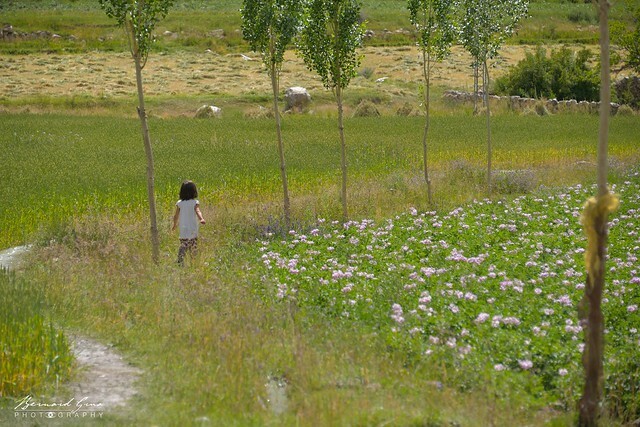 In part 2, § An organic mountainous local production, it was presented how Chapursan Valley could find benefits in establishing its own label with products from certified origin and already existing organic conditions of production. Traditional tools and fixtures become obsolete. It is desirable to document this heritage for future generations. Otherwise, specific mountainous rural modes of operation and know-how will be lost. A collection and documentation work should be launched in line with what is already done for local music and for Wakhi language. It would be advisable to provide support by creating an eco-museum in the Chapursan Valley. The best would be to display it inside a traditional building. Through individual or group projects, school pupils could be involved. These girls and boys are particularly enlightened thanks to a mixed, multilingual and good level of education. In such a scenic territory, visits of painters, filmmakers and photographers from outside could be encouraged, subject to the fact the visual authenticity is maintained. These artists would give, in exchange to the hospitality received, a part of their works to the future museum. Doing so, they would contribute to the international notoriety of the valley. Who knows, Chapursan might become the Pont-Aven school of the XXI century? In any case, with the inevitable improvement of communications and with the growth of the Pakistani middle class, Zood Khun will, soon or later, face a much wider tourism than today. It is necessary to anticipate it so that it can come in an eco-sustainable and responsible way as well as in the interest of the native women and men of the valley. These examples are to be avoided. 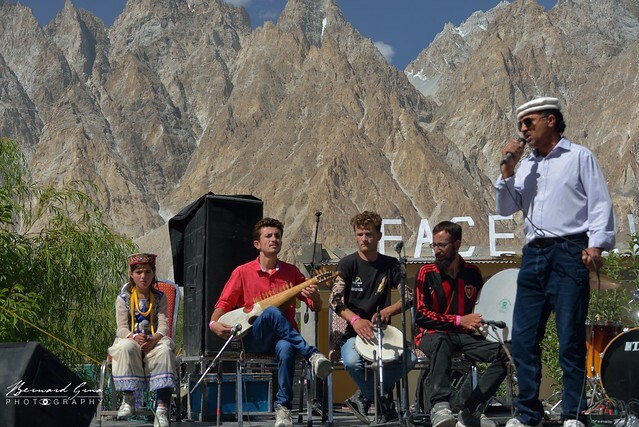 In contrary, the project set up in Altit village, medium Hunza Valley, though not completely duplicable, shows how it is possible to look for solutions taking into account a human dimension in connection with environmental and heritage concerns.s. - Nazif Shahrani: “The Kirghiz and Wakhi of Afghanistan – Adaptation to closed frontiers and war”, 1979, 2002, University of Washington Press. The author, a naturalized US citizen, is anthropologist born in Sharan, an Uzbek village of Afghan Badakhshan. He started is academic studies in Kabul and conducted numerous researches, census and treks in Wakhan and Pamirs over decades. Due to his native language, he was able to rapidly acquire Kirghiz language. Thanks to his deep involvement, his close relations and the mutual esteem with late Haji Rahman Qul, the greatest known Kirghiz Khan, he could produce a unique humanist and scientific work. His testimony about the people of “Bam e Dunya” has, probably, no equivalent, as of today. Moreover, it is written with a beautiful style. - Matthieu and Mareile Paley, in French: “Pamir – Oubliés sur le toit du monde”, in English: “Pamir- Forgotten on the roof of the world” 2012, éditions de la Martinière (also in German). A must read and a world class photographic master piece by this French photographer about Afghan Kirghiz and Wakhi people, he visited over numerous years, including in winter. The warm spirit of this long quest will, for sure, touch all the readers sensible to authentic adventure and passion while the esthetic dimension of the images is nothing but stunning. It is probably true to assert that French Matthieu Paley and his German wife, Mareile, common homeland is Chapursan Valley where they are considered as being part of the famous Alam Jan Dario's and his remarkable brother, the late Sarfraz Khan's, large family. It is worth to mention both learned Wakhi language in Zood Khun with their relatives of adoption, who are proud of them. 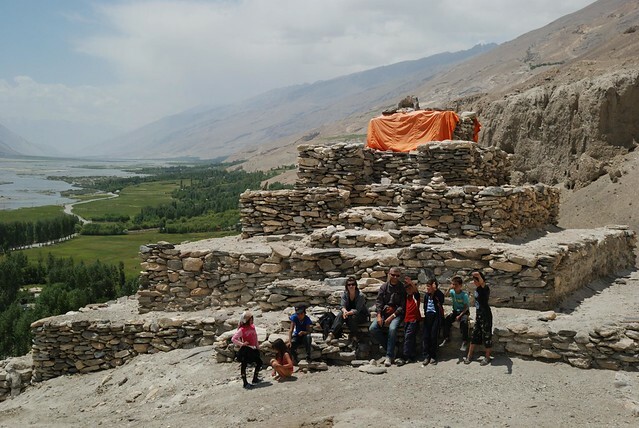 - Odinamamadi Mirzo: “Wakhan – A scientific, historic and ethnographic study”, “Irfon”, Ministry of Culture of the Tajikistan, 2010 (irfon_company@mail.ru). A quite complete book in a small format about Wakhan. 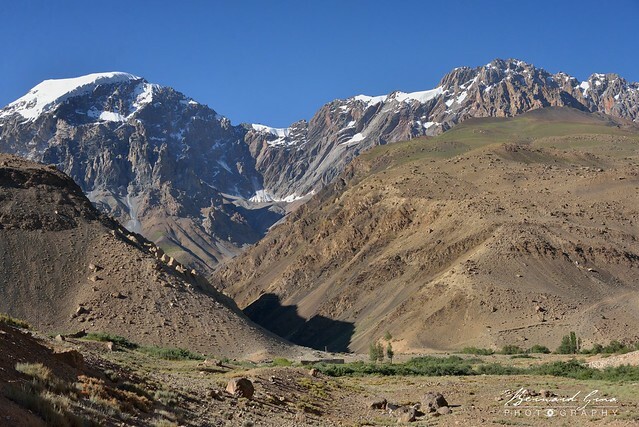 Many numerous detailed explanations about this specific area and about the Tajik Wakhi. The author was born in 1936, in Namadgut (Tajik Wakhan). On the soviet way, he got numerous medals. His academic writing is still dated from this period. The translation from Russian to English is poor. The low printing “quality” is not a help either. Numerous locations with historical points of interest are very well documented, unfortunately with no maps. However, with enough determination the reader who wants to learn about Wakhan and Wakhani (as the author calls them) will take a great advantage in going until the last page. Might be still available in Namadgut museum. - Gohar Abbas: “Heaven and hell”, Agence France Press (AFP), 2018. In French: “Le pays suspendu entre l'enfer et le paradis”. Though, it is much more than what is called, today, “tourism”. In London, this article won, in the category “Travel and tourism story of the year” at the Foreign Press Association (FPA) Media Awards (considered as Oscars of Journalism). 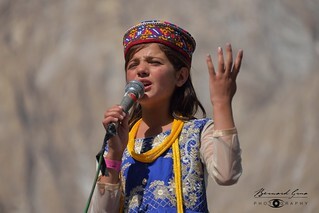 The nomination and, then, the award caused a strong enthusiasm in Gojal. The author works for AFP in Islamabad. He is a Wakhi of Gulkhin village in Hunza Valley, Pakistan. He explains how he left from Baba Ghundi (shrine after Zood Khun) and crossed, by foot, Irshad Pass (4 979 m) before meeting with Wakhi people in Afghan Wakhan Corridor. His beautiful real story shows how many things they have in common, sharing the same origin and the same geographical environment. However, being in the territory of his ancestors Gohar Abbas saw how the life is different, there, from the one of Hunza. He observed this dreamed heaven has also its hell sides. 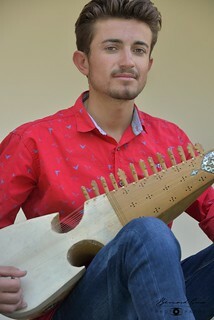 It would be extremly interesting to read about Tajik and Chinese Wakhi from Gohar Abbas. Hopefully, he will visit them in the future. - Karim Khan Saka : “Parlons wakhi” (Let's talk Wakhi), 2010, L'Harmattan, in French. The author is from Shimshal. He presents some information and comprehension keys about Wakhi way of life and traditions. This part is more useful than its language one while Wakhi words are written in an original alphabet composed by Russian researchers mixing Cyrillic and Turkish (?) characters. Then, reading, pronunciation and memorization of these words are less than obvious. 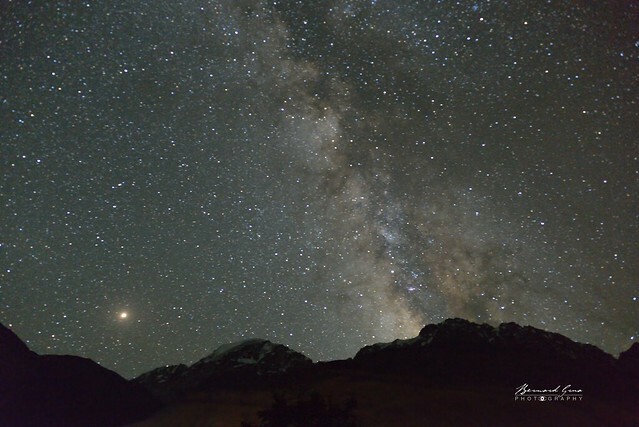 Remote and isolated Zoodkhun, the high mountain village of Gojal in Gilgit Baltistan, is a remarkable place to observe and to photography night skies. This article is the translation of the French one published by Bernard Grua, from France, on his travel blog: “Chapursan, quand la nuit de Zoodkhun dévoile l’univers”. 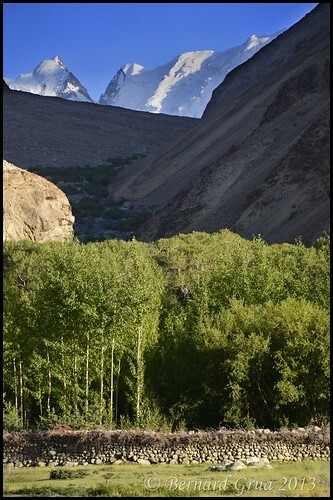 In the Upper Hunza, on the borders of Central Asia, at the end of the narrow Chapursan Valley, Zood Khun is surrounded by the high ranges of Karakoram, Hindu Kush and Pamir. There, by the end of twilight, the observer does not feel himself in a wide space encircled by the lower edges of a celestial vault. He gets nearly the sensation of being in an almost closed environment. However, he soon understands his first impression was wrong. While, looking up, it seems to him, in the contrary, that the real world is not on the planet where he stands. This one would be only a tiny cell. For the night is neither black nor blue. It is not "one." It is not a lid. It does not exist. It's a different day. The day of a gigantic and brilliant universe. The text presented below should not be considered as a result of an, even short, study about tourism in Hunza Valley or as a list of recommendations. 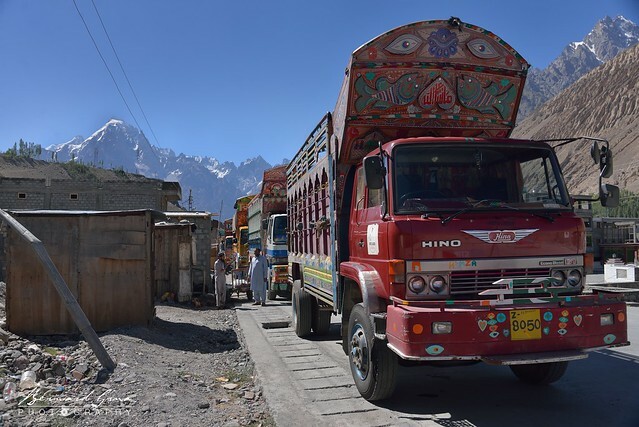 Its aim is to present an external view resulting from an independent travel, made in August 2018, using public transportations from Islamabad to Khunjerab Pass with stops in different places. It is also an outcome of discussions hold with the people living and working in this mountainous area of Northern Pakistan. 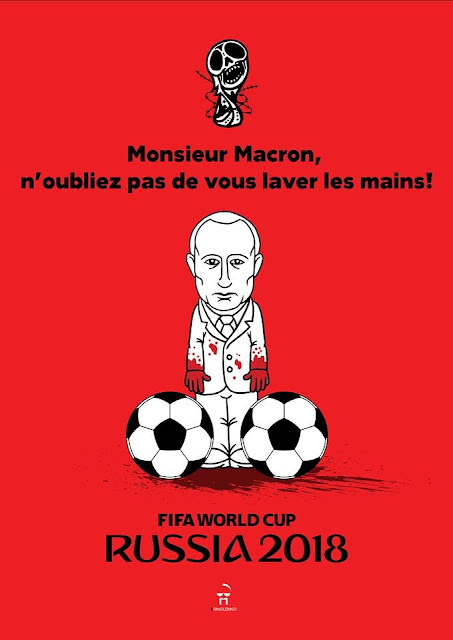 Je ne regarde pas le foot, ce soir, je n'ai pas l'humeur à ça. J'ai le temps de mettre un mot sur votre page Facebook. 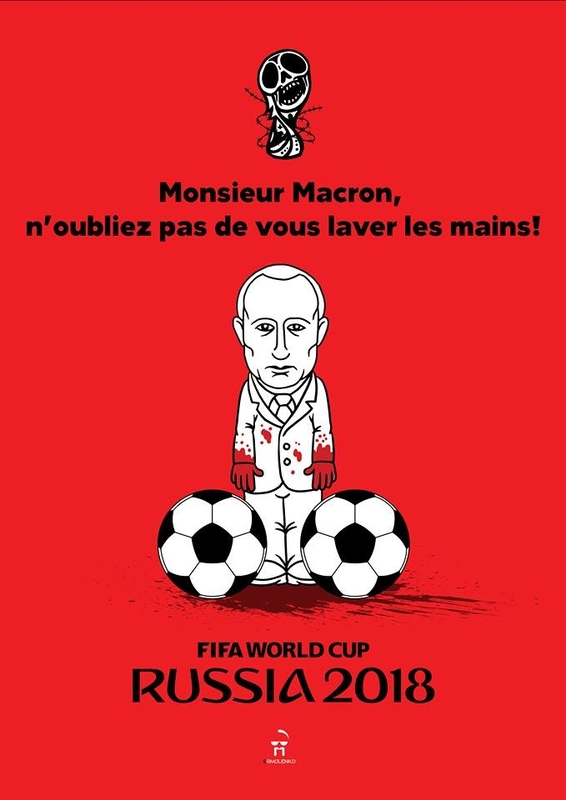 Je vous remercie donc pour ce papier intéressant mais sans surprise, paru ce jour dans Ouest-France. Emprisonnement d’Oleg Sentsov en Russie. « Les droits élémentaires n’ont pas été respectés ». Votre texte est en accord avec ce que pense la majorité des Français responsables. Pourtant cela ne peut, permettez-moi, suffire à vous dédouaner, pas plus que cela ne peut suffire à dédouaner notre Président de sa visite, ce soir, à Saint Petersbourg.